Can I avoid a Dh22,000 penalty imposed by the FTA? If you fail to file the return the FTA does not recognise any payments that you have made. Therefore you get fined not only a later filing fee but also interest on the amount of the tax due, until the point at which you file the return. The penalty for missing the filing deadline is Dh1,000 for the first offence and then Dh2,000 for every subsequent missed deadline. The supply of educational services and related goods and services by kindergartens, pre-primary, primary, secondary and higher education institutions is subject to the zero-rate. The school or educational institution must be licensed by the Ministry of Education in Bahrain or be under its supervision, and Supplies must be provided directly to a student who is enrolled in that school or institution. Professional education; and Vocational training, unless such vocational training is provided by a polytechnic educational institution which is licensed by the Ministry of Education in Bahrain. An overview of the VAT rules and procedures applicable to the financial services and the insurance sectors in Bahrain and, if required, how to comply with them the necessary background and guidance to help you to determine how a supply is treated for VAT purposes. The National Bureau for Revenue (NBR) held an interactive VAT workshop for professionals working in the manufacturing sector, during which the NBR recapped general and sector-specific VAT concepts, including invoicing and filing. Following a question-and-answer session, 46 representatives from 24 vendors were given the opportunity to visit the unique interactive demo-center that provides innovative learning experiences to ensure effective implementation of VAT. Today’s workshop is a continuation of the series of workshops organized by the NBR to provide an inclusive platform for all stakeholders from the public and private sectors to ensure the smooth registration of companies with an annual supply of BHD 500,000 to BHD 5,000,000 by June. The Bahrain Chamber of Commerce and Industry (BCCI) represented by its finance, insurance and tax committee, and its technology committee held a workshop themed “Using technology in VAT implementation” at Beit Al Tijjar. The workshop, delivered by experts from KPMG Bahrain, discussed the legal and administrative framework of the tax, the sector-specific guidelines for VAT as per the National Bureau for Revenues, and the challenges of implementing the tax . The National Bureau for Revenue (NBR) has published a guide that mainly focuses on educating the public on the VAT treatment of e-commerce and the VAT treatment of electronic services. ‘The VAT Digital Economy Guide’ aims to educate the public about the application of VAT on e-commerce and electronic services. The document sets out the general principles of Value Added Tax (VAT) in relation to the digital economy sector in the Kingdom. The main aim of the document is to provide the reader with an overview of the VAT rules and procedures in the Kingdom in relation to the digital economy sector and how to comply with them if required. It also explains the necessary background and guidance to help determine how supply is treated for VAT purposes. “This guide is intended to provide general information only and contains the current views of the National Bureau for Revenue (NBR) on its subject matter. “No responsibility is assumed for the VAT laws, rules or regulations in the Kingdom. “This guide is not a legally binding document and does not commit the National Bureau for Revenue or any taxpayer in respect of any transaction. The Federal Tax Authority, FTA, has begun implementing the Value Added Tax, VAT, refunds for business visitors while noting that a dedicated application form for the procedure is available on its website. In a press statement issued today, the FTA explained all the procedures with regard to the refund of VAT to business visitors. The FTA also published a guide through its website which can be accessed through the link: Guide – VAT Refunds for Business Visitors. Khalid Ali Al Bustani, FTA Director-General, said, “Reciprocity is a key condition for the procedure, whereby the authority will collaborate with countries that refund VAT for UAE businesses visiting their territories. The FTA clarified that the period of each refund claim shall be a calendar year, noting that for claims in respect of the 2018 calendar year, it started accepting refund applications as of 1st April, 2019. However, in subsequent calendar years, the opening date for refund applications submission will be 1st March of the following year. That means for the period 1st January to 31st December, 2019, applications will be accepted as of 1st March, 2020. Bahrain introduced a 5% value-added tax (VAT) in the Kingdom from January 1st, 2019. The tax registration in the country is split across phases and requires businesses to enrol across each phase based on their threshold. As such, the larger businesses with annual supplies exceeding BHD 5,000,000 ($13.25 million) are mandated to register in the first phase, whereas businesses with the annual supplies value exceeding BHD 500,000 ($1.32 million) are mandated to register in the second phase. Similarly, businesses whose annual supplies exceeds BHD 37,500 ($99,375) are mandated to register in the third phase. In addition, voluntary VAT registration is available for businesses even if the annual supplies are less than the mandated registration threshold limit. While it is voluntary, and entrepreneurs can register if their annual supplies exceed BHD 18,750 ($49,687) benefits of registering under VAT are immense and it is recommended that businesses that have not yet enrolled, start immediately to assess the impact of tax on their operations. Upon registering under VAT, businesses are given a VAT number which can be displayed on invoices, letterheads, websites and other forms of business stationery. While early registrations help businesses add VAT to the sale price of goods and services when they sell to commercial and non-commercial consumers, it can also help in claiming the Input VAT – a mechanism by which a VAT registered business can deduct input tax from the output tax for a period and remit the balance tax payable to the National Bureau for Revenue. VAT is a simple process, and The National Bureau for Revenue (NBR) has introduced several knowledge and process guides to make registration seamless and accurate. As such, with the help of NBR, early registered businesses can prepare well in advance and ensure that the process is completed easily, eliminating the risk for unnecessary delays, and incorrect information, which may lead to hefty fines or rejection. The UAE is mulling the inclusion of new products on its excise tax list, according to a statement by the Ministry of Finance, which implemented the fee on three categories in October 2017. The ministry is conducting a joint study with officials in Saudi Arabia “on the addition of new goods to the selective tax list, as well as to determine tax rates on certain harmful substances,” its statement said. While it did not share details of the goods it is considering to add to the tax list, it said in 2017 that it aims to reduce the consumption of harmful substances. These include tobacco and tobacco products and carbonated and energy drinks, which are currently listed under the excise tax and have doubled in price since the fee’s introduction. The National Bureau for Revenue (NBR) held an interactive VAT workshop for professionals working in the construction sector, during which the NBR recapped general and sector-specific VAT concepts, including invoicing and filing. Following a question-and-answer session, 88 representatives from over 50 vendors were given the opportunity to visit the unique interactive demo-center that provides innovative learning experiences to ensure effective implementation of VAT. products from this date and penalties for non-compliance may apply. end-to-end traceability. Penalties for non-compliance with this rule may apply. It would therefore be advisable for businesses to consider this final deadline date into their supply chain planning to ensure all unmarked products have been sold prior to this time. The two-day forum which opened today at the Grand Hyatt Hotel in Dubai, is organised by the Ministry of Finance, MoF, and the Arab Monetary Fund, AMF, in cooperation with the Federal Tax Authority, FTA, and the International Tax and Investment Centre, ITIC. Dr. Abdulrahman Al Hamidy, Director-General of AMF; and Khalid Al Bustani, Director-General of the FTA attended the ceremony. Senior officials from the Ministry of Finance, top tax policy and administration officials from all AMF member states, senior tax and finance executives from multinational enterprises, tax experts from international organisations, and renowned public finance academics also attended the event. Dr. Abdulrahman Al Hamidy opened the forum with a welcome speech, following which Sir Mark Moody-Stuart, Honorary Co-Chairman of ITIC and the Director General of the FTA gave the keynote addresses. The FTA Director-General stressed the importance of holding meetings with senior officials and experts, especially in light of the great economic transformation the region is undergoing. He expressed hope that the Arab Regional Tax Forum will benefit all Arab countries through the discussions and knowledge-sharing on key issues. Bahrain’s National Bureau for Revenue stated that a 5% standard tax is applicable where the payment for the services is made by way of fees, commissions or commercial discount. The Bahrain National Bureau for Revenue (NBR) has released the first edition of its Financial Services VAT guide (FSI VAT Guide) and Islamic finance products generally have the same VAT treatment as their conventional financial product counterpart. NBR stated that a five per cent standard tax is applicable where the payment for the services is made by way of fees, commissions or commercial discount. Additionally, tax exemption will be applied where the payment for the services is made by way of an implicit margin or spread, including interest. MCA Management Consultants has qualified to represent clients to FTA in matters relating to VAT after earning the approval as a FTA accredited Tax Agent. MCA has met the stringent conditions specified by the Federal Tax Authorities to attain this approval. The conditions safeguard the interest of registered VAT entities and ensure that VAT computation, filing and audit is as per the guidelines contained in the various statutes of the VAT law in UAE. Al Dhaheri Jones and Clark (ADJC) reminded companies anew of properly filing their value added tax (VAT) returns in anticipation of a possible tax audits by the Federal Tax Authority (FTA) this year. The Dubai-based consultancy firm, which is a registered tax agent in the UAE as approved by the FTA, warned that hefty penalties await tax violators in pursuant of Cabinet Resolution No. (40) of 2017 on Administrative Penalties for Violations of Tax Laws in the UAE. Since the implementation of VAT in the UAE at the start of 2018, the number of tax returns received from businesses registered for VAT purposes has exceeded 650,000 as per the report of the FTA. The National Bureau for Revenue (NBR) held another interactive VAT workshop for professionals in the retail and wholesale sectors, during which the NBR recapped general and sector-specific VAT concepts, including invoicing and filing. Following a Q-and-A session, 90 representatives from 48 vendors were given the opportunity to visit the unique interactive demo-center that provides innovative learning experiences to ensure effective implementation of VAT. Today’s workshop is a continuation of the series of workshops organised by the NBR to provide an inclusive platform for all stakeholders from the public and private sectors to ensure the smooth registration of companies with an annual supply of BD 500,000 to BD 5,000,000 by June. More than 300,000 businesses have now registered for WAT in the UAE, according to the Federal Tax Authority (FTA). At a meeting chaired Sheikh Hamdan bin Rashid Al Maktoum, also Deputy Ruler of Dubai, it was also revealed that the number of approved tax agents operating in the UAE has increased to 316. It also confirmed the success of the VAT refund procedures for Emiratis building new homes, with 235 applications approved, enabling citizens to recover a total of AED9.76 million. The FTA also announced that the Tax Refunds for Tourists Scheme, which was introduced in November, was recording nearly 6,000 refund transactions per day. The Federal Tax Authority has completed preparations to launch the “VAT refunds for business visitors scheme” from April 2. The scheme aims to reciprocate the efforts made in countries that offer VAT refunds to visiting UAE businesses,” the FTA said in a statement. To be eligible for the VAT refund, the first condition is that foreign businesses must not have a place of establishment or fixed establishment in the UAE or in any of the VAT-implementing GCC states. The Board of Directors of the Federal Tax Authority, FTA, has issued a number of executive decisions concerning the Authority’s operations and administrative policies during its 8th meeting, chaired by H.H. Sheikh Hamdan bin Rashid Al Maktoum, Deputy Ruler of Dubai, Minister of Finance, and FTA Chairman. During the meeting, held on Tuesday at the Ministry of Finance’s Dubai headquarters, the Board reviewed a report on the developments of ongoing projects and the FTA’s recent achievements. The report also covered results pertaining to its registration processes for VAT and excise tax and transactions related to filing tax returns, payment of outstanding taxes and collection of recoverable taxes. The report pointed out that the level of tax compliance in the country has increased, with the number of registrants for VAT exceeding 300,000 registered businesses – tax groups and individuals. Meanwhile, the number of registrants for excise tax reached 719, and the number of approved tax agents increased to 316. The report confirmed the success of the VAT Refund Procedures for UAE Nationals Building New Residences, with many citizens benefiting from the simple and straightforward electronic procedure that enables them to claim refunds on the taxes incurred on the construction of their new villas and apartments. The study noted that 235 applications were approved, enabling citizens to recover a total of AED9.76 million. Sheikh Hamdan bin Rashid commended the positive results and major strides the Authority has made since its inception. The FTA saw to the implementation of simple and clear cutting-edge electronic systems, leading to encouraging compliance levels from business sectors. This success was the result of streamlined procedures, an advanced legislative environment, and adherence to high international standards and best practices. Maximum 20% of pavilion space allowed for commercial activity to claim tax return. According to a Cabinet decision posted on the Federal Tax Authority’s (FTA) website, the commercial space should be less than 20 per cent of the space to be entitled for the refund. The Expo 2020 Bureau will largely administer this process. supply of certain Goods and Services. Information required to complete the relevant forms. details are covered in this user guide. This Cabinet Decision is primarily for Expo 2020 Official Participants which includes Countries and Inter Govt agencies. They can claim VAT refund in case they are not VAT registered. Condition is that commercial exhibition space is less than 20% and VAT refund value is more than Aed 200 per transaction. Expo 2020 Bureau will largely administer this process. Saudi Arabia and the UAE led the way in January 2018 with the introduction of a 5 percent value-added tax (VAT) as part of the unified GCC VAT Agreement – and Bahrain followed suit in January 2019. This measure in Bahrain, however, could be facing some hiccups. Value-added tax (VAT) is a type of consumption tax that is placed on the supply of goods and services. It takes into account the “value added” at every step of the supply chain. The GCC framework on VAT, which has been spurred by efforts toward tax transparency and the GCC’s diversification goals, gives sufficient leeway for member states to be flexible on VAT implementation in industries based on local contexts and specifications. Bahrain, for instance, has decided to exclude oil products from VAT, as part of its essential goods exclusion. Could blockchain transform the GCC's VAT system? With the introduction of VAT in the Middle East (UAE, Saudi in 2018 and Bahrain in 2019), the governments had a clean sheet to work with. From e-registration to manual e-filing, they’ve introduced a lot of technology in a very short amount of time. Companies also had to adapt very quickly and both parties are just beginning their journey of tax and revenue automation. While the GCC VAT system has just been born, other parts of the world have already traveled a long way in this automation path and there is no doubt these developments will come sooner rather than later in the region. Tourists to Bahrain will be offered VAT refunds through a VAT refund desk at the Bahrain International Airport. Tourists to Bahrain will be offered VAT refunds through a VAT refund desk at the Bahrain International Airport. This comes as the Kingdom’s National Bureau for Revenue (NBR) announced the launch of a VAT refund desk at the Bahrain International Airport yesterday. The set up is in collaboration between the Bahrain Airport Company and international payment specialist Planet Payment. The NBR stated that the new desk will offer VAT refund solutions for tourists and non-residents visiting the Kingdom as well as citizens residing abroad. “The VAT refund desk uses an integrated system that allows VAT refund claims on local purchases from over 300 retail outlets across the Kingdom,” the NBR stated. “The VAT refund desk represents one of many measures the Kingdom is implementing to expand regional and international tourist base, while increasing market competitiveness and expanding growth across Bahrain’s established tourism sector,” it added. Chief Commercial Officer of the Bahrain Airport Company, Ayman Zainal said, “The BAC is pleased to support the Ministry of Finance and National Economy and the National Bureau for Revenue in Bahrain with this important function. Two dedicated stands will be set up at the airport, where tourists can avail hassle-free VAT refunds on their shopping.” The Country Manager of Planet Payment, Eyad Al Kourdi, commented, saying, “Planet is proud to be working closely with the National Bureau for Revenue and the Bahrain Airport Company to deliver a fast, efficient and state-ofthe-art digital VAT refund scheme as the Kingdom’s tourism and retail sectors continue to grow and attract shoppers from across the world.” The NBR explained the VAT refund process stating, “Claimers are required to present their passports, entry visa permits, GCC National IDs, or residency permits for Bahraini nationals living abroad, when shopping VAT free”. Approximately 200 key members from the business community in the Kingdom of Bahrain attended an exclusive seminar organized by KPMG in Bahrain for VAT registered and to-be registered businesses to discuss tax compliance and reporting obligations. This in preparation for the first VAT return cycle coming up in April this year. VAT has now been live in the Kingdom of Bahrain for nearly three months and by latest 30 April 2019, VAT registered businesses will be required to submit their first VAT return to the National Bureau for Revenue (NBR). Philippe Norré, Partner and Head of Taxes and Corporate Services at KPMG in Bahrain was the keynote speaker and shared insights from his long experience in rolling out and leading KPMG’s Global Indirect Tax Compliance approach. He explained and discussed the detailed requirements outlined by the Bahraini VAT legislative framework. “Not only are VAT registered businesses required to submit correctly completed VAT returns and do by deadline together with any payment due, but the compliance and reporting obligations for VAT do require keeping a set of quality documents to support the numbers reported and allowing for an end-to-end reconciliation including with the General Ledger (purchase orders, contracts, invoices, import and export documentation, debt and credit notes and others). As further official guidance notes are issued by NBR a proper knowledge management process is required to keep fully abreast of all developments around VAT in Bahrain. ” He commented during the event. No VAT on furniture, unless charged separately from accommodation. Bahrain’s National Bureau for Revenue (NBR) today announced the launch of a VAT refund desk at the Bahrain International Airport. Launched in collaboration between the Bahrain Airport Company and Planet, the new desk offers VAT refund solutions for tourists and non-residents visiting the Kingdom of Bahrain as well as citizens residing abroad. The VAT refund desk uses an integrated system that allows VAT refund claims on local purchases from over 300 retail outlets across the Kingdom. The VAT refund desk represents one of many measures the Kingdom is implementing to expand regional and international tourist base, while increasing market competitiveness and expanding growth across Bahrain’s established tourism sector. Claimers are required to present their passports, entry visa permits, GCC National IDs, or residency permits for Bahraini nationals living abroad, when shopping VAT Free. Claimers need to request VAT free tags, available at retail stores, upon completing their purchase. The tags can be attached to receipts, which will be validated along with purchased goods at the VAT refund desk during check out. Refunds will be paid in cash or via a credit/ debit card account provided by the claimer. Bahrain being part of GCC, is obliged to comply and apply the VAT treaty which came to face and absorb some difficulties. First, it is better to mention that the new VAT is of certain features including, among other things, a small rate of five per cent compared with 17 to 20pc in developed countries including Germany, France and the UK. Also, the exemption of many essential products and services “zero rated” from the VAT. I believe, such strategy is intended due to the absence of taxation culture in the region. This year, the implementation of VAT in Bahrain, is in progress but not free from obstacles. Including, some companies are yet to complete IT systems, train staff, comprehend the process, registration issues, VAT return process and confusion over tax invoices. Moreover, other related issues have started as consequence to VAT, namely prices increase to face VAT. Such points need time to settle and firm actions are required. By all means, costs rationalisation is needed and there should be regulations to supervise and control the market to escape adverse consequences due to VAT. How to claim VAT refund for Tourist? Tourist leaving the country can claim the VAT refund within 90 days from the date of purchase. You will receive 85% of the tax paid, minus a fee of 5 AED per Tax Free tag validated. Tax Free tags are stuck to every invoice that you obtain. There are two counters for claiming the refund. One in the checkin area and the other past immigration. The check-in area counter can process refunds of bills upto 8000 AED and can refund to your credit card directly. If you need cash, you can process the claim at this counter, but to obtain the refund in cash you must go past immigration and collect in US Dollars from Travelex counter. To claim for bills of value over 8000 AED you are expected to carry and show the item at the counter after immigration in the terminal. They will follow the similar method of directly crediting your card or collect cash from Travelex. You will not get the full VAT refunded as you are supposed to get only 85% refund, plus pay 5 AED for the tag placed on your bill and the exchange fee to convert to US dollars. Planet is the official agent for processing refunds and has counters in the check in area, and inside the airport. The UAE expects to reach an amicable solution with the European Union soon on the issue of including the emirate in the list of non-cooperative jurisdictions for tax purposes, said a senior UAE banking official. “I am sure this issue will be solved in the near future. I think it was due to lack of communication and lack of understanding. The EU will be approached and discussed; I’m sure there will be a way out,” said Abdul Aziz Al Ghurair, chairman of the UAE Banking Federation and CEO of Mashreq Group. “Because we have chosen to be international financial centre, so we have to comply with world regulations. We had issues like this in the past and were solved,” Al Ghurair told media on the sidelines of a banking conference in Dubai on Wednesday. The UAE on Wednesday regretted the European Union’s decision to include it on a list of non-cooperative jurisdictions for tax purposes. This inclusion was made despite the UAE’s close cooperation with the EU on this issue and ongoing efforts to fulfill all the EU’s requirements, Wam said in a statement. The UAE said it had shared with the EU a detailed timeline of actions that it is currently implementing in accordance with its sovereign legal process and constitutional requirements. The implementation of value-added tax (VAT) and excise tax amounted to 60 percent of the Dubai Refreshment Company’s net local revenue and led to higher consumer prices, according to a statement to shareholders posted to the Dubai Financial Market. In the statement, Dubai Refreshment Company, which is the sole bottler and distributor for PepsiCo in the UAE, said that the company “was forced to pass these taxes to the consumer”. “This happened at a time when other sugary non-carbonated drinks were not subject to the excise tax and as such did not need to increase their prices,” the statement added. In 2018, Dubai Refreshment Company’s net profit fell 54 percent to AED 42.3 million ($11.52 million). Revenues totalled AED 646 million ($175.87 million), a 26 percent decline when compared to the year before. “The situation was especially difficult in the first few months after the excise tax implementation, however, through a combination of sales improvement and cost reduction initiatives, the company has been able to stabilise the situation and return to reasonable profitability,” the statement said. Dubai Refreshments distributes carbonated, non-carbonated and bottled water products. Some of brands under Dubai Refreshments’ portfolio include Pepsi, Diet Pepsi, 7-Up, Diet 7-Up, Mountain Dew, Miranda, and Shani, Mountain Dew and Aquafina. Following a big jump in inflation in 2018 after the implementation of a 5 percent value-added tax, some economists believe that the UAE economy will slip into deflation this year following a persistent decline in housing and fuel prices and an oversupply in the retail and hospitality sectors. Monica Malik, chief economist at Abu Dhabi Commercial Bank, said the UAE consumer price index contracted by 2.4 percent on a year-on-year basis in January from a 0.4 percent rise in December. “We had expected to see deflation from January as the impact of the introduction of VAT in 2018 dropped out of the annual data and with the fall in housing and fuel prices,” she said. The UAE levied 5 percent VAT on a host of goods and services from January 1, 2018 as part of a GCC framework agreed among the Gulf nations, resulting in a spike in inflation in the first few months of the implementation. Dubai for UAE’s contractors, when they get VAT refunds is getting to be as important as the amounts involved. “As a main contractor, I will have to pay all the VAT-related costs to the subcontractor or supplier,” said K.A. Siddiqui, Partner at Dubai Walls Construction. “It automatically becomes part of the LPO (local purchase order). There can’t be any delay on our part because any delay will invite penalties and becomes a criminal offense. Which is why contractors are now insisting on clients and project promoters to, in turn, shorten the payment cycles in releasing funds due to them. Economic activity in Bahrain was subdued in 2018 and is expected to remain at about 1.8% this year, says the International Monetary Fund. Economic activity in Bahrain was subdued in 2018 and is expected to remain at about 1.8 percent this year, according to the International Monetary Fund (IMF). The IMF described the introduction of value added tax (VAT) in January as “a particularly significant step”, as are plans for cost recovery in utilities and further means-tested subsidy reforms. It added that the Fiscal Balance Program (FBP), accompanied by $10 billion in regional support, marks a major step in Bahrain’s reform agenda and has alleviated near-term financing constraints. The National Bureau for Revenue (NBR) held two consecutive VAT workshops for professionals working in the education, healthcare, service and utility industries, during which the NBR recapped general and sector-specific VAT concepts, including invoicing and filing. Following a question-and-answer session, around 190 representatives from 100 companies and institutions were given the opportunity to visit the unique interactive demo-center that provides innovative learning experiences to maximize participants’ assimilation and implementation of the materials presented. Today’s workshop is a continuation of the series of workshops organised by the NBR to provide an inclusive platform for all stakeholders from the public and private sectors to ensure the smooth registration of companies with an annual supply of BHD 500,000 to BHD 5,000,000 by June. Around 25 key officials from financial institutions in Bahrain attended an exclusive closed roundtable discussion organised by KPMG in Bahrain to discuss the challenges faced by the financial services sector following the formal introduction of Value Added Tax (VAT) in Bahrain. Philippe Norré, partner and head of indirect taxes at KPMG in Bahrain, was the moderator during the event and said “With their first VAT returns due latest by 30 April 2019, banks and other financial institutions still face lack of VAT treatment clarity around several typical financial offerings . The National Bureau for Revenue (NBR) held two consecutive workshops primarily aimed at increasing the VAT awareness of professionals working in the food & hospitality and communications & entertainment industries. The workshops attracted 150 representatives from 85 vendors, and recapped general and sector specific technical VAT concepts, invoicing and filing requirements, as well as a question and answer session. Following the workshop, attendees visited the unique interactive demo-center that provides innovative learning experiences to assist vendors in implementing VAT. The NBR will continue to organize workshops that provide an inclusive platform for all stakeholders from the public and private sectors to ensure the smooth registration of companies with an annual supply of BHD 500,000 to BHD 5,000,000 by June. Bahrain recently quickened the pace of economic reforms by passing a package of laws, notably the introduction of a VAT and pension reforms. The 5% VAT is one of the key commitments under the Gulf Finance programme. The agreement provides for the imposition of a VAT in all Gulf Cooperation Council countries during the current year. The tax is to promote and diversify non-oil financial revenues. It comes after the introduction in December of a tax, ranging 50-100%, on tobacco and its derivatives, soft drinks and energy drinks. Minister of Finance and National Economy says growth of Bahrain’s non-oil economy has averaged about 7.5% per year Bahrain gov’t revenues ‘out of sync’ with non-oil growth – minister Bahraini government revenues have not kept pace with the growth of the kingdom’s non-oil economy, according to Sheikh Salman bin Khalifa Al Khalifa, Minister of Finance and National Economy. Speaking at the GCC Financial Forum in Manama on Wednesday, Sheikh Salman said that non-oil economic growth in Bahrain has averaged approximately 7.5 percent per year. Bahrain is currently in embarking on a plan to balance its budget by 2022, a key requirement of a $10 billion aid package funded by neighbouring states including the UAE and Saudi Arabia. Last year, the country managed to trim its deficit by 35 percent to $3.5 billion. On Monday, Bahrain’s government approved a draft budget for the coming two years that projects a reduction of the deficit to $1.63 billion by 2020. “As we continue on our deficit reduction measures, it will be of extreme importance that we look at the reduction of operating expenditure and an increase in revenues, non-oil revenues in particular, and that all our spending on subsidies is directed towards citizens,” Sheikh Salman said at the event. Since VAT was introduced in Bahrain on January 1, Sheikh Salman said that more than 2,000 companies have registered already, more than two-thirds of which are below the legal threshold and have registered because of the positive incentives of refunds. “It’s working well,” he said, noting that laws passed in Bahrain have zero-rated and exempted certain industries to ensure that citizens are protected from inflationary pressure and that economic growth continues. Looking to the future, Sheikh Salman said he predicts that Bahrain’s logistics, tourism, financial and oil and gas sectors will continue to be the biggest drivers of economic growth. Earlier in the week, the governor of Bahrain’s Central Bank said he expects the economy to grow at between 2.0 and 2.5 percent in 2019, similarly to last year. The National Bureau for Revenue (NBR) held two workshops today for retail and wholesale vendors followed by an interactive demo center providing on-spot assistance and information regarding VAT, at the Ministry of Finance and National Economy. The VAT demo center is designed to provide vendors with a live step-by-step guide on VAT readiness, and is part of the NBR’s efforts in ensuring the correct implementation of VAT within the Kingdom of Bahrain. 140 representatives from various retail and wholesale vendors attended two workshops that provided a general overview on VAT, sector specific content, invoicing and filing requirements, as well as a question and answer session, to ensure they are well informed on relevant VAT concepts. The workshops were followed by access to the live demo center that provided an interactive experience on technicalities of VAT to ensure vendor readiness on VAT application. The workshops and demo center are part of the NBR’s commitment to increase public and private stakeholders’ awareness and transparency regarding the treatment of the VAT across all sectors. The NBR highlighted the importance of spreading awareness on VAT technicalities at this initial phase, given that companies with an annual revenue of BHD 500,000 to BHD 5,000,000 are set to register for VAT by June of this year. Rana Faqihi, the assistant undersecretary for Public Revenues Development, has signed a contract with international payment specialists Planet Payment to begin work on the VAT refund scheme for tourists, said a report. Planet has been operating for 30 years in 58 different countries regionally and worldwide, and currently operate the UAE’s VAT tourist refund scheme, it said. The new refund system will be established and ready during this year, Faqihi noted. Upon completion of the payment infrastructure, tourists visiting Bahrain will be able to claim refunds on a percentage of VAT paid on purchases during their visit to the kingdom. Reimbursements will be made through a fully integrated digital system that connects registered companies in the scheme to the points of exit at Bahrain International Airport, the report said. The Assistant Undersecretary of Development and Policy of Public Revenues, Rana Faqihi, today signed a contract with the international payment specialists Planet Payment, at the Ministry of Finance and National Economy. The contract has been signed to begin work on the tourist refund scheme for VAT paid by tourists during their stay in the Kingdom. Planet Payment has been chosen to oversee Bahrain’s VAT tourist refund scheme based on their knowledge and expertise in the field of international payment solutions. Planet has been operating for 30 years in 58 different countries regionally and worldwide, and currently operate the UAE’s VAT tourist refund scheme. Faqihi noted that the collaboration with Planet Payment is in line with the National Bureau for Revenue’s efforts in ensuring the correct implementation of VAT, and that the new refund system will be established and ready during this year. Upon completion of the payment infrastructure, tourists visiting Bahrain will be able to claim refunds on a percentage of VAT paid on purchases during their visit to the Kingdom. Reimbursements will be made through a fully integrated digital system that connects registered companies in the scheme to the points of exit at Bahrain International Airport. VAT reimbursements are a common practice introduced to increase visitor expenditure and boost the inflow of tourists as a stimulant for businesses’ competitiveness and overall economic growth. The introduction of VAT is just one of the many fiscal strategies that will enable the UAE to achieve its medium to long-term objectives to become an economic powerhouse and world-class business hub. A VAT system by its nature is a flexible tool for governments to regulate their annual budgets, contributing to higher revenue intake and a healthier ability to influence economic growth. This is evidenced in numerous OECD, IMF and domestic Central Bank financial and economic reports. These indicate significant increases in tax-to-GDP ratios as a result of the introduction of a new VAT regime and/or the fluctuation of rates within mature regimes. The UAE and indeed the GCC’s rationale for the introduction of VAT, together with the related revenues it hopes to generate, give some context to our consideration of whether it has impacted activity in the region, and in particular the construction industry. VAT has the essential characteristic of an economically neutral tax—ie, it flows through businesses and tax supplies to final consumers. Once a new VAT system has been introduced and businesses have adjusted, VAT should not be a direct cost for businesses and careful management of associated compliance, cash flow and administration costs should limit the indirect impact. Associated inflation is also generally short lived. For a VAT regime to be successful in its aim of neutrality for businesses, and therefore limit the impact on trade, there are a number of key contributing factors: the VAT rates and structure; VAT thresholds and phased introduction; administration of the system; and exemptions. If we look at these in the context of the construction industry, they give us a clearer picture of some of the challenges that businesses may have faced during the first year of implementation in the UAE and Saudi Arabia, and the resulting impact on the industry across the region. For such an important, high-value sector, the application of a considerably low rate of 5 per cent was crucial in aiding the industry to adjust to this new demand on working capital. Also, the implementation of a simple VAT system was tactical in supporting comprehension and early adoption, especially in the UAE where businesses did not historically have experience with federal tax regimes. The National Bureau for Revenue (NBR) today announced that over 2,000 local and international vendors have registered for the VAT. The NBR recognized the private sector’s efforts exerted towards ensuring the proper implementation of the VAT, which includes registering for the VAT prior to levying the standard 5% tax. Consumers are reminded that all registered vendors are legally required to display their VAT registration certificate that includes vendors’ Commercial Registration number and their VAT registration date, prior to levying the 5% VAT. Should I pay tax on the sale of company assets? Legislation states that VAT is charged on taxable supplies made in the normal course of your business. Some argue that selling fixed assets, such as furniture, is outside the normal course of business and is not vatable. I don’t agree with this argument and advise charging the tax on the sale of all company assets. The purchase of assets used to generate taxable sales are part of most businesses’ normal activities. When you purchase the new office furniture you will be charged VAT on the purchase, which you can recover in full against your output VAT on taxable sales. It makes sense therefore that if you can recover VAT on a purchase of assets, you should then charge VAT on a subsequent sale of the same item. Getting food at your doorstep using technology could have never been imagined until the tech giants like Uber, Zomato and more recently Talabat and Careem have made it possible. Simply using fingers on customer friendly apps, one can now conveniently anytime during the day order food that will be delivered to your office or home. Online food delivery apps typically work on the aggregator model where various restaurants are aggregated on the digital platform that allows customers to choose the restaurant and place the order. The order is passed to the restaurant that cooks the food and the app staff gets it delivered at the customer’s doorstep. The food delivery apps earn income from various sources – delivery fee charged from customers, a commission from restaurants, premium listing fee from restaurants to list them on the app and third-party ad revenue through Google ads. Each source of revenue needs a close look to ensure its appropriate taxability. The areas of attention for apps are more on identifying who’s the supplier of food & delivery and whether they are two separate supplies or one composite supply. Typically, the apps only act as pure delivery service providers obliged to account for VAT on the delivery fee. The VAT treatment may differ where food is simply picked up from the restaurant and delivered to the customer vis-à-vis where the app buys and store food packets to ensure faster delivery to the hungry customers during peak hours. In the first situation, delivery fee from customers and commission from restaurants are taxable supplies. In the second situation, the app will have to account for VAT on the supply of food and its delivery to customers but simultaneously also be eligible to reclaim the VAT paid to the restaurant on the purchase of the food packets. The VAT may still apply under the deemed supply provisions where the food bought by the app could not be sold but consumed internally by its staff. If VAT paid to the restaurant was recovered, there would be an obligation to account for VAT on the value of food unsold. To entice customers hook on to the app, various promotional schemes are launched. A customer may be given a Dh50 voucher redeemable against the order to reduce his cash payout. The app will pass on the discount from its own income. Correct accounting for discounts, VAT and its appropriate reflection on the invoice is important. The VAT position will be different where the customer is given a voucher not sponsored by the app, rather by a third party. It is important to structure the transactions properly to avoid any VAT dispute later. Separately, the customers may also be given freebies when the order value exceeds a threshold. This can be a free dessert etc. The app would typically ask the restaurant to pack the freebie along with the order and later pay the restaurant for the value of the freebie. Similarly, some apps also make the orders free of cost should the food is not delivered within a specified time. Whether supply of a freebie or making the food free qualify as a deemed supply and subject to VAT should be analysed. The apps also earn revenue from placing adverts. The UAE VAT law considers online advertisements as a supply of electronic services subject to VAT based on their use and enjoyment in the UAE. It is critical to analyze the contract with the clients, their location and the location of the target audience. The app’s client may be located outside the UAE, but the adverts are targeted for the UAE audience to increase revenue for the client’s UAE based restaurants. Will this be considered a zero-rated supply (since the client does not have a presence in the UAE) or should it be subject to the standard rate of VAT since the use and enjoyment of the advert happens in the UAE. It is important the app is able to demonstrate legally the actual place of use and enjoyment of the adverts for appropriate VAT treatment. Issuance and delivery of the tax invoice is mandatory in the VAT law. The app should issue a tax invoice to the customers and ensure it is delivered. It has been observed generally, the app emails a payment summary to the customer that captures the value of food plus the delivery fee and VAT on it. The food invoice is issued by the restaurant and delivered by the app staff to the customer. The app should also issue and deliver a separate simplified tax invoice to the customer for the delivery fee. Non-delivery of this invoice will be considered a non-compliance of the VAT law. Where the delivery fee is fixed, the amount of VAT on it should be considered inclusive. The VAT amount, however, needs to be shown clearly on the invoice. The online delivery concepts are fairly new and the tax authorities across the globe are increasingly finding it challenging to tax them. Because of different business models prevalent, identifying and putting a tax treatment on every transaction becomes a task. It is critical for businesses to be vigilant on how the contracts are structured and ensure no transaction goes unnoticed by their tax team. The majority (84 percent) of recruiters and human resource (HR) professionals in the UAE remain confident about their ability to recruit the right candidates for businesses, according to a new survey. However, more than half (56 percent) have experienced candidates demanding above average salaries since the roll out of VAT, according to the Recruiter Sentiment Survey by LinkedIn, the world’s largest professional network. The survey said the implementation of VAT in the UAE at the start of 2018 does not seem to have affected hiring rates, with most respondents (57 percent) seeing an increase in hiring from April to December 2018, when compared to the same period in 2017. The top reasons for the increase in hiring from April to December 2018 were attributed to business growth (63 percent), availability of more suitable candidates (52 percent) and access to relevant talent insights (51 percent). However, over half (55 percent) of respondents stated that there was a greater supply of candidates than available roles. “It is interesting to see that despite the introduction of VAT, the UAE job market and workforce appears to remain confident. However, the new tax does appear to be putting added pressure on businesses as candidates demand higher salaries to compensate for the increase,” said Ghassan Talhouk, head of LinkedIn – UAE LinkedIn Talent Solutions. The survey revealed that the most in-demand roles since the implementation of the VAT regime were tax and finance executives and IT specialists, as companies geared up for VAT -compliance. According to the survey findings, transport, public administration and design sectors are among the hardest to find candidates for, while the hiring rates in IT, food and beverage and hospitality industries have peaked since the start of 2018. The UAE is launching a fiscal risk management project with the IMF’s help and will produce its first fiscal stress test this year, according to Christine Lagarde, Managing Director and Chairwoman of the International Monetary Fund (IMF). Speaking at the main session of the Fourth Annual Arab Fiscal Forum organized by the IMF, Arab Monetary Fund, AMF, and the UAE Ministry of Finance, today at the World Government Summit 2019, Lagarde commended the UAE and other countries in the region for strengthening their fiscal frameworks. She said that the UAE as well as Saudi Arabia, Kuwait, Sudan and Lebanon have set up macro-fiscal units, a useful first step in strengthening the fiscal framework while Algeria has recently adopted a new budget law with a strong medium-term orientation. Bahrain has introduced a fiscal program designed to achieve balance over the medium term while Mauritania, Morocco, Jordan, and Lebanon are making great progress with medium-term public investment planning and execution. Egypt now publishes a fiscal risk statement with its budget and produces an internal in-year budget risk assessment. Speaking further on the importance of strong fiscal policy, Lagarde said the two key pillars of good fiscal management are robust fiscal frameworks, and good governance and transparency. “There is scope to improve fiscal frameworks in this region. Some of the weaknesses are short-termism and insufficient credibility,” she said. “Corruption is the great disruptor of fiscal policy. Without trust in the fairness of the tax system, it becomes harder to raise the revenue needed for critical spending on health, education, and social protection. Governments might be tempted to favor white elephant projects instead of investments in people and productive potential. Add this up, and we have a recipe for unsustainable fiscal policy combined with social discord,” she said. Early data suggests that the inflationary impact of the value-added tax (VAT) in both Saudi Arabia and the UAE has largely been contained, according to the most recent PwC Middle East Economy Watch. Richard Boxshall, senior economist at PwC Middle East, writing in the report, said the impact of VAT in Saudi Arabia was “limited”, mainly because it raised more revenue than was initially expected. Saudi Arabia’s preliminary fiscal outturn data, released alongside the budget in December, estimates that VAT raised $12.2bn in 2018 – nearly a third more than it had expected. In a January 2018 projection made by the General Authority of Zakat & Tax, the amount raised is equivalent to about 1.6% of GDP. “This suggests a relatively high efficiency of collection in relation to private consumption by international standards,” said Boxshall. While no data is available on the UAE as yet, Boxshall said it is likely to be higher in relative terms than in Saudi Arabia “because private consumption makes up a larger share of the economy”. Seventy percent of the revenues will be distributed to each of the seven emirates, potentially providing a substantial boost for some. Boxshall said 2018 was the best in five years for Middle Eastern oil exporters, driven by two main factors – rising oil prices and increased government spending. “This combination of stronger prices, as well as fiscal and structural reforms put these economies on a solid footing for 2019, despite a weaker final quarter marked by increased geopolitical risks and oil prices falling into correction by year’s end,” he said. Oil market developments are likely to be the dominant economic driver for the region once again in 2019, following the sharp decline in prices in the final months of 2018, and OPEC and its allies agreeing to cut output by 1.2m barrels a day in November. Boxshall said weaker oil would put pressure on expenditure in countries with higher break-even prices. Whatever happens at a macroeconomic level, 2019 is likely to be an active year for corporate transactions, which includes major M&A and IPO activity. Banking sector mergers are under discussion in several countries. The region is widely recognised as being overbanked and has begun to consolidate over the past few years. As banks scale up through mergers, this should boost the sector’s capacity to finance projects and businesses, supporting growth. Meanwhile, efforts to attract investment will continue, including the announcement of which sectors are eligible for 100% onshore foreign ownership under a new UAE law. There should also be progress in privatisation efforts in Saudi Arabia, Oman and Kuwait. A Bahraini lawyer has insisted that the recent decision by the Electricity and Water Authority (EWA) to apply Value Added Tax (VAT) on subscribers’ bills are unconstitutional, demanding immediate cancellation of the decision. This came as lawyer Mohammed Al Thawadi appeared before the High Administrative Court, which is examining a complaint lodged by him against the authority. The court said yesterday that it would issue its final verdict in the case on February 24. The National Bureau for Revenue (NBR) held a total of 22 workshop on the treatment of VAT across various sectors within the Kingdom. The workshops, which have begun since December 2018, address all of the various sectors’ VAT inquiries to ensure effective implementation of VAT. The workshops targeted government and private sector entities, including entities in the banking and finance, real estate and construction, sale and retail, auditing, and education sectors. The NBR affirms its commitment to increase public and private stakeholders’ awareness and transparency regarding the treatment of the VAT across all sectors in addition to advancing public-private cooperation. To ensure the success of the initial phase of the VAT implementation, the NBR will organize a further series of workshops to raise awareness on the technical and procedural aspects of VAT. Passively earned interest income from bank deposits and dividend income are, therefore, outside the scope of VAT, and there is no requirement to report them in the VAT return. The clarification VAT P010 primarily states that bank interest and dividends are out of scope and need not be shown as exempt income in the VAT returns. Other interest income are considered as exempt income where there Is supply Management fee is subject to VAT. Please refer to clarification for full details. The VAT treatment of donations, grants and sponsorships depends on whether the donor, grantor or sponsor, as the case may be, has received any benefit in return for such payments. Where any benefit is received in return for the payments, VAT implications will arise. However, where no benefit is received, the payments will be treated as outside the scope of VAT as they will not be seen as consideration for a supply. The VATP011 clarification states where donation and grants do not have any supply, they are considered as out of scope. Generally, sponsorship will be subject to VAT as there is usually associated supply to such sponsorship. Click here to read more. Companies registered to pay value added tax in the UAE must apply to remove themselves from the system if they stop operating or anticipate a drop in the value of their taxable sales to below Dh187,500 per annum, the government said on Saturday. Failure to de-register could elicit a fine from the UAE Federal Tax Authority, the official body that administers the tax said in a statement. “Registrants will not be de-registered unless they have paid all due taxes and administrative penalties and filed required tax returns for the period in which they were registered, as stipulated under tax legislation,” the FTA’s statement added. The UAE, together with Saudi Arabia, introduced a 5 per cent VAT on goods and services in January 2018, as part of plans to increase non-oil revenues and create a more transparent business environment. Any company generating taxable sales of above the threshold of Dh375,000 per annum must register themselves on the government’s VAT system and pay all of the tax for which they are liable each year, while companies with taxable sales above Dh187,500 per annum can voluntarily register themselves to pay VAT. However, if a company anticipates it will experience a drop in total annual sales to below that minimum threshold over a 30-day period ahead, it must de-register from VAT liability, the FTA said. The application must be submitted within 20 working days of the occurrence of that drop in sales, otherwise the company could be subject to a fine. “Failing to submit the de-registration application within the period…will lead to the imposition of administrative penalties as stipulated in the VAT tax legislation,” the statement said. The National Bureau for Taxation (NBT) today held a workshop primarily aimed at increasing professional auditors’ awareness in regards to the VAT procedures and legal framework in addition to equipping them with the knowledge they need to provide accurate VAT advisory and audit services. The workshop attracted a number of representatives from various audit firms and addressed VAT-related inquires to ensure the use of best practice in auditing. Today’s workshop is part of a series of workshops held by the NBT aimed at increasing public and private stakeholders’ awareness regarding VAT procedures and legal framework to achieve the highest level of compliance. The NBT reminds taxable entities to refer to the list of audit firms that can aid in the implementation of VAT, which is available on the NBT’s website at the following link: https://www.nbt.gov.bh/licenced_acc. The Federal Tax Authority (FTA) has outlined four conditions that would allow foreign businesses to recover value-addded tax (VAT) incurred in the UAE. Secondly, such foreign businesses must not be a taxable person in the UAE. Thirdly, they must also be registered as an establishment with a competent authority in the jurisdiction in which they are established; and finally, they must be from a country that implements VAT and that equally provides VAT refunds to UAE businesses in similar circumstances. The authority clarified that the period of each refund claim shall be a calendar year, noting that for claims in respect of the 2018 calendar year, refund applications can be made as of April 1, 2019. However, for subsequent calendar years, the opening date for accepting refund applications will be March 1 of the following year; this means that for the period from January 1 to December 31, 2019, applications will be accepted as of March 1, 2020. The FTA went on to stress that the minimum claim amount of each VAT refund application submitted by business visitors is Dh2,000, which may consist of a single purchase or multiple purchases. The Authority urged potential applicants to hold on to the original tax invoices on the purchases for which they would like to reclaim VAT, as they will be required to be submitted along with the refund applications. The state may still submit a VAT refund application to reclaim VAT incurred in the UAE under this scheme, the FTA assured, outlining only three situations where VAT cannot be reclaimed. The first situation is if the foreign business in question makes supplies in the UAE, unless the recipient is obliged to account for VAT under the reverse charge mechanism. Secondly, a VAT refund cannot be processed if the input tax in respect of any goods or services is “blocked” from recovery and, therefore, not recoverable by a taxable person in the UAE. The third situation where a refund is not possible is if the foreign business is a non-resident tour operator. Khalid Ali Al Bustani, director-general, FTA, noted that this procedure reflects positively on many sectors, including tourism, trade, exhibitions, conferences, etc. He further explained that reciprocity is a key condition for the procedure, whereby the Authority will refund the VAT to businesses resident in countries that refund VAT for UAE businesses visiting their territories. The National Bureau for Taxation (NBT) today held a workshop aimed at increasing the awareness of registered government entities on VAT treatment and policies. Today’s workshop attracted representatives from around 30 government entities, and provided a summary of core VAT concepts in addition to reviewing the VAT treatment and policies. 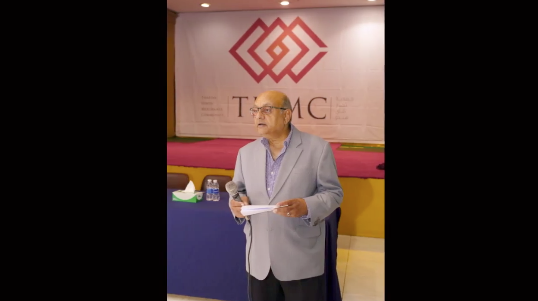 During the workshop, the NBT reminded civil servants of the Cabinet’s decision to ensure that 1,400 public services are not subject to 5% VAT, in line with the Royal Directives of HM the King to review the VAT application process during its trial period. The NBT continues to hold an extensive series of workshops to facilitate the exchange of technical expertise and to assure the correct application of the VAT. The National Bureau for Taxation (NBT) today announced that over 1,300 local and international vendors have registered for the Value Added Tax (VAT). • In line with NBT’s efforts to expand VAT awareness, the Call Centre has efficiently responded to over 7,000 VAT related queries. • Consumers are reminded that all registered vendors are legally required to display their VAT registration certificate, which includes vendors’ Commercial Registration number and their VAT registration date, prior to levying the 5% VAT. • Consumers are also encouraged to verify taxpayers’ registration status through the recently introduced Taxpayer Lookup tool accessible on https://www.nbt.gov.bh/vat/tp/ms prior to paying the 5% VAT charge. • The NBT continues to support consumers and investors with all aspect of the VAT, and invites all stakeholders to take advantage of the information available online (www.nbt.gov.bh) and on NBT’s social media accounts (@BahrainNBT) in addition to calling and emailing the Call Centre on 80080001 or vat@mof.gov.bh for further queries. The National Bureau for Taxation (NBT) today introduced a new service that allows consumers to verify vendors’ VAT registration status through a search tool accessible on www.nbt.gov.bh. The new system allows consumers to pull up vendors’ official registration records by searching for its VAT Registration Number, Commercial Registration Number and QR code. This new service builds on the government’s efforts to strengthen consumer protection and transparency to further build on the success of the VAT. The new service aims to facilitate the monitoring mechanisms during the VAT’s initial stage, and strengthen regulatory compliance. The National Bureau for Taxation (NBT) today announced that a tax exemption logo (VAT FREE) will be distributed across various establishments in order to place the logo on goods and services that are not subject to VAT. This new measure builds on the government’s efforts to strengthen consumer protection and transparency, ensuring the correct implementation of VAT. NBT stressed the importance of the various establishments to adopt this measure, making sure the logo is clear and visible to consumers. In this regard, the NBT further stressed the importance of clearly placing the VAT certificate of registration that entitles these entities to collect VAT on products and services that are subject to it. Healthcare services that are not basic or preventive in nature but more cosmetic are subject to the standard 5 per cent VAT rate, tax experts said. The majority of healthcare services under the UAE VAT law have been classified as zero-rated. This effectively means that such services are subject to VAT at zero per cent but with the eligibility to recover the VAT incurred on associated costs. At the seminar, WTS Dhruva Consultants also launched a comprehensive VAT guide for companies operating in the healthcare sector in the UAE. The guide, titled: “VAT on Health Care in UAE – Impact and Insights” elaborated and addressed numerous issues related to healthcare service providers, insurance companies, and related products. 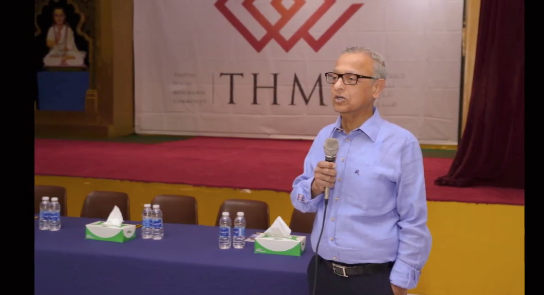 Dinesh Kanabar, CEO and founder of WTS Dhruva, said the VAT guide prepared by WTS Dhruva for the healthcare sector in the UAE is first of its kind in the country. “The guide addresses numerous issues related to the activities of healthcare service providers,” he said. VAT for independent directors’ services depend mainly on whether the fees for the said directors were known from the outset or not. The Federal Tax Authority (FTA) has confirmed that the date of supply for value-added tax (VAT) with regard to independent directors’ services is determined either in accordance with the general rules or the special rules, depending mainly on whether the fees for the said directors were known from the outset or not. The authority said that where such fees are known from the outset, the date of supply shall be determined in accordance with the provisions of Articles (25) and (26) of Federal Decree-Law No. (8) of 2017 on VAT, depending on whether or not there will be periodic payments. If such fees are not known from the outset, they shall be determined upon conclusion of the annual general meeting and the date of supply shall be established only when such fees become known. The FTA explained that in instances where the board fees are known at the outset and involve periodic or multiple payments, the date of supply would be determined as per Article (26) of Federal Decree-Law No. (8) of 2017 on VAT, where the date of supply would be the earliest of the following three: The date of issuance of the tax invoice; the date the payment is due as shown on the tax invoice; and the date of receipt of payment. If 12 months have passed from the date of provision of services and none of the aforesaid events has occurred, the date of supply will be triggered at the end of the 12th month. “Consumer inflation will ease in 2019 in Saudi Arabia and the UAE after the VAT related spike in 2018. Downward pressure from the low rental prices will persist,” IIF analysts said. The UAE will be the fastest growing economy in the GCC region this year along with Oman, driven by non-oil sector, Dh50 billion Abu Dhabi stimulus package and projects linked to Expo 2020 Dubai, according to a new report released on Wednesday. The Institute of International Finance (IIF) analysts projected the UAE’s real GDP to grow 3.1 per cent in 2019 compared to 2.9 per cent estimated for 2018. But growth is projected to slow down to 2.7 per cent in 2020. Nominal GDP is estimated to increase from $434 billion (Dh1.592 trillion) in 2018 to $444 billion (Dh1.629 trillion) in 2019 and $458 billion (Dh1.681 trillion) in 2020. Taimur Khan, Research Manager, Knight Frank, said in an another UAE research that outlook for the UAE’s GDP growth in 2018 and 2019 remains positive on the back of higher oil prices, a range of stimulus packages and easing of business regulations in both Abu Dhabi and Dubai, which are likely to support activity in both the public and private sectors. International Monetary Fund had predicted 3.7 per cent growth for the UAE for 2019 in its October forecast. While World Bank on Tuesday predicted 2 per cent in 2018 which is expected to accelerate to 3.0 per cent in 2019 and 3.2 per cent in 2020 and 2021. According to IIF forecast, Oman’s real GDP growth is also projected at par with the UAE at 3.1 per cent for this year and 3.4 per cent in 2020. While Saudi Arabia’s real GDP is predicted to grow 2 per cent in 2019, Kuwait at 0.4 per cent, Qatar at 2 per cent and Bahrain at 2.4 per cent. The Call Centre has successfully responded to over 1,000 VAT related queries per day through its hotline (8008001) and by email (vat@mof.gov.bh) since the induction of the VAT on January 1, 2019. The National Bureau for Taxation (NBT) noted that the sudden influx of queries reflects consumers and investors’ eagerness to expand their VAT procedural and legal framework knowledge. As a result, the NBT will increase the total number of people employed in the Call Centre to advance its customer service standards and to equip the centre with the resources it needs to manage sudden influxes. The NBT reiterated that all its communication channels are open to further queries related to the VAT procedural or legal framework. Citizens can contact the Call Centre on 80008001 or vat@mof.gov.bh in addition to taking advantage of the information available on NBT’s website (www.nbt.gov.bh), Instagram and Twitter (@NetworkNBT). Meanwhile, Consumers in the Kingdom have been urged to ensure that they don’t overpay for goods and services to businesses who may take advantage of the current confusion in the market and charge extra bucks for goods and services. Taking advantage of the existing confusion in the market, certain businesses may swindle the customers by charging extra and many customers are worried over being cheated in the name of VAT. The Ministry of Industry, Commerce and Tourism (MOICT) yesterday confirmed that it has responded to a total of 224 VAT related complaints in addition to more than 1,130 VAT inquiries, since its induction on January 1st, 2019. The Ministry’s ‘Companies Control’ and ‘Consumer Protection’ directorates have successfully inspected more than 430 vendors across the Kingdom to ensure the correct application of the VAT. The Ministry is committed to continue monitoring the movement of all goods and service in accordance with the newly published list of basic food items that are not subject to VAT, it said in a press release issued. “All sales outlets are required to comply with the Kingdom’s VAT Law and its executive regulations.” Consumers can report violations by calling 80008001, the ministry added. The Central Bank of Bahrain (CBB) on Saturday reiterated its commitment to continue monitoring all financial institutions to ensure the correct implementation of Value Added Tax (VAT). Interest payments on loans, deposits, currencies trading, issue or transfer of ownership of securities (equities or debt), and life insurance and reinsurance contracts are not subjected to VAT, the CBB highlighted. As many as 94 goods and services have been exempted from VAT, according to authorities. Dubai’s largest bank Emirates NBD has launched a new VAT-based loan solution for small and medium-sized enterprise (SME) customers. The new programme eases the lending application process for SMEs as it allows them to validate their business turnover and income by providing the bank with copies of their VAT returns filed with the UAE’s Federal Tax Authority (FTA). “Emirates NBD’s VAT-based loan offering symbolises our commitment to the UAE’s small and medium businesses and supports the objective of Expo 2020 Dubai to foster growth of the SME sector,” said Suvo Sarkar, senior executive vice president, Head of Retail Banking and Wealth Management at Emirates NBD. The new programme will cover home, auto and business loan products. Bank lending remains one of the biggest challenges faced by GCC-based SMEs, where less than 5% of bank loans are dedicated to small businesses in the region. It is believed to be among the lowest in the world. Institutions such as Mashreq Bank argued that its SME loss rate stood too high at 20%, CEO Abdulaziz Al Ghurari said at the 2017 Middle East Banking Forum in Abu Dhabi, though it is not clear whether other banks face the same rates. Khalid Ali Al Bustani, Director General of the Federal Tax Authority (FTA), asserted that in the first year of implementing Value Added Tax (VAT) in the UAE, the Authority registered many successes from deploying easy-to-use, hi-tech electronic systems to ensuring high compliance rates among businesses across the country. The VAT system has been praised by experts and local, regional and international official bodies, he added, noting that despite the challenges that were expected at the beginning of implementation – which was a common occurrence in many countries that introduced VAT around the world – the UAE successfully rolled out a seamless and flexible tax system, complete with a progressive legislative environment that meets the highest standards in the field. The news came in a press statement issued by the Authority to mark the first anniversary of the introduction of VAT in the UAE, which went into effect on January 1, 2018, at a 5% rate on the supply of most goods and services in the country. The FTA Director General revealed that the number of businesses that registered in the tax system during the first year of implementation exceeded 296,000 companies and tax groups, noting that the rates of compliance among Taxable Persons in the UAE are increasing remarkably. Statistics show that the total number of periodic Tax Returns received by the Authority from businesses registered for VAT purposes exceeded 650,000 in 2018, he said, adding that this high compliance rate was due to the easy procedures set for submitting Tax Returns and paying due taxes, available 24/7 via the e-Services portal on the FTA official website: www.tax.gov.ae . The platform was designed according to international best practices and provides flexible and varied payment mechanisms, as well as information and guidance to promote tax awareness. Blockchain, the revolutionary technology which has been steadily gaining popularity in recent years can greatly help in the implementation and management of VAT, according to an expert While VAT is expected to boost revenue for the government, it comes with challenges related to TAX collection as well as issues related to companies that may try to evade taxes. Both issues can be addressed with the use of VAT, says a leading IT expert. According to Yaqoob AlAwadhi, NGN International CEO, blockchain can help facilitate tax collection without added costs of intermediaries. He said that blockchain can cut VAT administration costs by eliminating the need for third-party intermediaries: agents, escrow, trusted banks, and many others that according to him “slows down the entire transaction process”. “Blockchain is a safe and effective tool for the management of value-added tax. This technology would contribute to reducing the costs of managing Tax and accelerate its collection by 80 per cent,” he said. He urged the government to be a pioneer in the GCC in using “Blockchain” in the collection of value-added tax, “as this technology eliminates the role of intermediaries such as accounting companies or banks between the merchant and the government.” “Blockchain speeds up government access to tax revenues from the final consumer of the service or Item, and also accelerate the process of refunding the merchant and supplier of the tax”. Read the latest FTA guide dated Dec’18 which has been issued for Business visitors refund. The Kingdom of Bahrain is imposing a new VAT (value-added tax), making it the third Gulf Cooperation Council (GCC) member state to impose VAT, following the UAE and Kingdom of Saudi Arabia. The initial rate of VAT in Bahrain is 5%. The purchase of gold and silver jewellery and the charges paid for making of the jewellery would be subject to VAT. Pearls and gemstones are, at least for now, exempt from VAT. According to Diamond World, during the last week of December “there was pre-VAT rush in gold jewellery shops” as consumers enjoyed the last days of pre-VAT prices. As for penalties, failing to register within the required period for more than 60 days will be penalised a maximum 10,000 Bahraini Dinar ($26,527). Failing to submit a VAT return or not making a payment within the required period will be penalized between 2.5%-5% of the due tax amount. Wef 1st Jan 2019, taxable entities can apply for the alternate method for input tax apportionment in relation to its industry. It is not compulsory to apply for special apportionment method. However, if there are differences of Aed 250k or more in the standard apportionment method and the alternate method applicable for the industry, then the annual adjustments have to be done in the immediate return subsequent to the first tax year. The Value-Added Tax will usher into its second year of implementation just in a few days from now in both the UAE and Saudi Arabia, carrying forward a positive influence on economic growth in both countries, with other GCC States projected to come aboard the VAT system either in 2019 or the year after. The National Bureau for Taxation (NBT) today highlighted its ongoing efforts to enhance consumer protection and compliance with the VAT law and its Executive Regulations in preparation for its induction on January 1, 2019. The NBT has introduced various initiatives to enhance transparency and increase consumers’ awareness in regards to their rights. In this context, consumers are reminded that they are not required to register for VAT nor are they expected to go through the registration certificate procedures. Consumers are also encouraged to make sure that shops clearly display their VAT registration certificate prior to paying the VAT. Consumers are reminded to call 80008001 or email vat@mof.gov.bh to report any violations including levying tax on goods and service not subject to VAT or charging VAT prior to its induction. The Assistant Undersecretary for Development and Policy of Public Revenues at the Ministry of Finance and National Economy, Rana Ebrahim Faqihi, today affirmed that over 1,000 local and international enterprises have begun registering for the first phase of the Value Added Tax (VAT) implementation – effective on January 1, 2019, at a standard rate of 5%. The Assistant Undersecretary highlighted the VAT registration process, noting that 668 enterprises have already received their VAT Registration Certificate and more than 500 companies have initiated the process of registration. The Assistant Undersecretary went on noting that the ministry’s call center is fully prepared to provide swift general and technical assistance to taxpayers. As of today, the call center has successfully responded to more than 1,500 tax-related inquires of which 90% were immediately settled by VAT experts, as well as promptly responding to more than 500 email inquiries. Faqihi went on noting that the National Bureau for Taxation (NBT) will continue to advance its multiple communication platforms well after the VAT’s induction to ensure information is suitably accurate and to continue to provide a platform where citizens can report misconducts; such as charging VAT prior to induction and applying VAT on goods and services that are not subject to VAT. Finance and National Economy Minister Shaikh Salman bin Khalifa Al Khalifa hailed the Royal directives of His Majesty King Hamad bin Isa Al Khalifa to review the VAT mechanisms during the trial application period and observe the citizens needs through the exemption of basic commodities and services. The Ministry of Finance and National Economy as well as the governmental entities concerned with the application of VAT will implement the Royal directives by ensuring the soundness of application procedures from day one of the trial period while taking into consideration the importance of market stability and the steady and smooth supplies of commodities and services to the citizens and residents to ensure the continuity of development and growth of the sectors whilst ensuring the citizens’ needs, he said. This came during the meeting held at the Ministry of Finance and National Economy premises in the presence of Industry, Commerce and Tourism Minister Zayed bin Rashid Alzayani and Bahrain Chamber of Commerce and Industry (BCCI)’s deputy chairman Khalid Najibi. Shaikh Salman stressed the importance of continuous communication, consultation and discussion with the Bahrain Chamber of Commerce and Industry regarding the VAT mechanisms. He cited the ongoing cooperation and discussion of viewpoints to reach the results that would serve the aspirations in the interest of the homeland and the citizen foremost. The Assistant Undersecretary for Development and Policy of Public Revenues at the Ministry of Finance and National Economy (MoFNE), Rana Ebrahim Faqihi, affirmed the Ministry’s commitment to increasing consumers and businesses’ awareness about the VAT procedures and legal framework, in line with the VAT Law and its Executive Regulations, underscoring the Ministry’s commitment to strengthening consumer protection and transparency. Faqihi added that the Ministry of Finance and National Economy and the National Bureau for Taxation have dedicated resources towards raising VAT procedural and legal framework awareness, including an extensive series of workshops for business owners and companies that will be subject to the VAT, in addition to directly communicating with businesses to ensure effective and seamless implementation of VAT on January 1, 2019. The Assistant Undersecretary noted that all registered businesses are required to display their VAT registration certificate, which includes the business’s Commercial Registration number and the VAT registration date, in a prominent place that is clearly visible to consumers prior to levying the 5% VAT, to avoid violations. The Assistant Undersecretary stressed that all registered businesses are also legally required to display the final prices of all goods and services – inclusive of tax before any sale. The Assistant Undersecretary went on noting that it is a violation to mislead consumers. Saudi Arabia collected 45.6 billion riyals ($12.16 billion) from value-added tax (VAT) in 2018, more than double its initial estimate, budget documents showed. The Saudi budget expects total tax revenues of 166 billion riyals this year, up from an initial estimate of 142 billion riyals, the document showed. 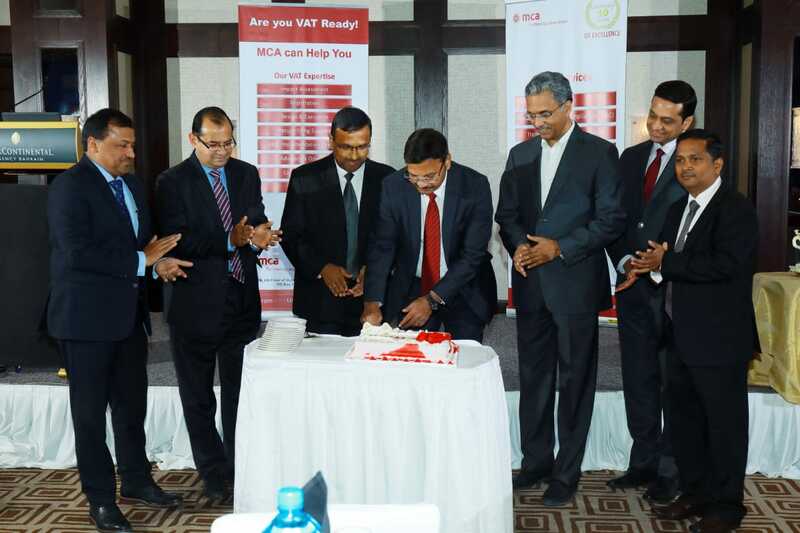 Indian-founded professional services firm MCA, which offers a broad range of services covering the spectrum of accountancy, audit and assurance, international taxation, and technology and business management consulting, has on the eve of the VAT roll-out in Bahrain expanded from its current bases in the UAE and Oman to launch a new office in the Kingdom – MCA Bahrain. The new venture has been launched in partnership with fellow Dubai-based professional services firm Pyramid Specialized Management Consulting (to operate under the legal name MCA Pyramid Consulting WLL), and will offer services in taxation, governance, risk and compliance, transaction advisory, supply chain, corporate services and business strategy among other areas. Founded in India in 2008 by current Chairman T. N. Manoharan, MCA launched its Dubai arm the following year and has since grown to include further offices in Abu Dhabi, Sharjah and Muscat with a team of more than 75 employees and an established regional client base upwards of 600 to date. The Middle East branch is led by Managing Director Mannem Hanumantha Kumar. 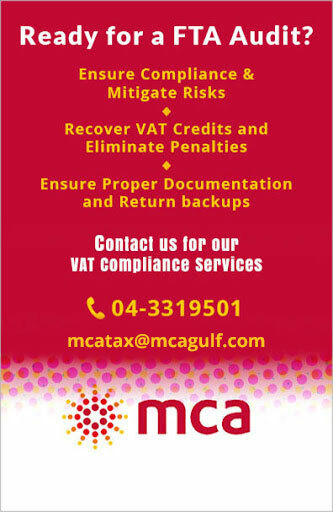 The launch in Bahrain has been timed to coincide with the local VAT roll-out, scheduled to be implemented locally in the Kingdom from the start of next year following its earlier introduction in Saudi Arabia and the Emirates (the remaining GCC have committed to follow), with MCA to offer its expertise on VAT impact assessment, implementation, registration and compliance. Also in attendance at the launch party in Manama were MCA Bahrain founding partners Kumar and S Venkatesh (MCA managing partner) and Pyramid founder and managing director R Lakshmanan, a former auditor for KPMG in Bahrain who established Pyramid in 2014 to specialise in housing finance, real estate, Islamic finance, and strategic advisory among other areas. Both Kumar and Venkatesh have both previously served as the Chairman of the Dubai Chapter of the Institute of Chartered Accountants of India (ICIA), a role also held over time by esteemed sector leaders such as Deloitte partner Abbas Ali Mirza, BDO Patel & Al Saleh founder Russi J Patel, and Group CEO (UAE and Oman) of Crowe Mac and Crowe Global board member James Mathew. The Federal Tax Authority (FTA) on Wednesday said all preparations were complete to launch phase 2 of the Tax Refunds for Tourists Scheme from Sunday, December 16. The scheme would cover 12 air, land and sea ports across the UAE. The first phase went into effect on November 18, 2018, covering the Abu Dhabi, Dubai and Sharjah international airports. The second phase will cover Al Ain International Airport, Al Maktoum International Airport and Ras Al Khaimah International Airport; as well as 2 sea ports: Zayed Port in Abu Dhabi and Port Rashid in Dubai; and 4 land ports: Al Ghuwaifat Border Post in Abu Dhabi, Hili Border Port and Al Madheef Border Crossing in Al Ain, and Dubai’s Hatta Border Exit. “The FTA coordinated with the system operator Planet, running all necessary experiments to ensure the scheme is implemented smoothly and accurately,” said Khalid Ali Al Bustani, director-general of FTA. Al Bustani projects daily refunds of value-added tax (VAT) to grow quickly in the coming period. The number of refund requests processed surpassed 3,800 daily transactions. The FTA asserted that to be refundable, tax invoices must be issued by retail stores included in the scheme and registered in the system; these venues can be identified by visibly showcasing ‘tax-free’ stickers on their storefronts. The FTA had outlined conditions for a tourist to be eligible for a tax refund, namely: The tourist in question is at least 18 years old; goods eligible for the scheme are supplied to an overseas tourist who was on UAE soil when the purchase was made, and who intends to exit the UAE along with the purchased items within 90 days; goods must be exported out of the UAE by the tourist within 3 months of the date of supply. The Assistant Undersecretary for Development and Policy of Public Revenues at the Ministry of Finance and National Economy, Rana Ebrahim Faqihi, highlighted that the 5% Value Added Tax (VAT) will not be applied on 94 basic foodstuffs in addition to essential sectors such as education, health, real estate, oil and gas among other important sectors. Bahrain’s National Bureau for Taxation, the entity responsible for tax administration and collection according to Law and regulations, launched a new website (www.nbt.gov.bh). The website provides more information to taxpayers and collectors on the Kingdom’s newly introduced VAT and its registration process. Bahrain’s VAT Law will be implemented starting Jan 1st 2019, in line with the unified VAT agreement approved by the Gulf Cooperation Council at the Riyadh Summit in 2015. VAT will also come into effect in the Kingdom of Bahrain with effect from 1 January 2019, with an obligation for some businesses to register in December 2018. Small businesses whose obligation to register for VAT in the Kingdom of Saudi Arabia (KSA) was deferred under transitional provisions will have to submit an application for registration by 20 December 2018. In addition transitional arrangements which meant that VAT did not have to be paid in respect of existing contracts come to an end on 31 December, meaning that contract prices may need to be renegotiated. VAT was introduced in the KSA with effect from 1 January 2018. Appreciating the challenge facing businesses in the region, the minister of finance Mohammed Al-Jadaan, together with the board of the General Authority on Zakat & Tax (GAZT), approved the inclusion of transitional provisions in the VAT Implementing Regulations in September 2017. Two of these transitional provisions may now require action by businesses. Under KSA VAT rules, any person whose annual value of taxable supplies exceeds or is expected to exceed the mandatory registration threshold of SAR375,000 ($100,000) is required to register for VAT with GAZT within 30 days. However, if the annual value of their supplies does not exceed SAR1 million ($267,000) the transitional rules provided relief from registration in advance of 1 January 2018. The rules defer the effective date of registration for these businesses to 1 January 2019, but the application for registration has to be submitted by 20 December 2018. “To allow sufficient time to gather the necessary information and documentation for the registration application, together with the time it may take for GAZT to process your application, it is important that businesses affected by this transitional provision, who have not already voluntarily registered, start the process as soon as possible,” Joanne Clarke said. The Bahrain British Business Forum (BBBF) and BDO hosted a meeting at the Gulf Hotel Convention Centre to discuss the upcoming introduction of VAT in Bahrain. 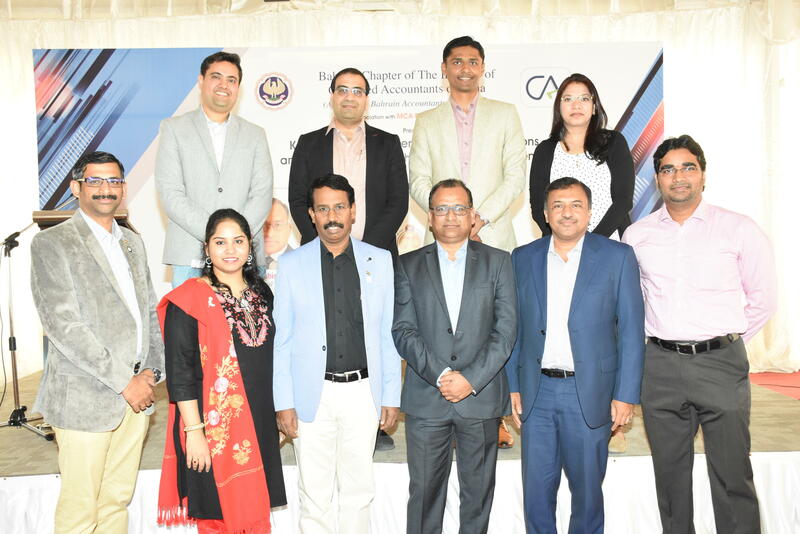 The meeting featured BDO Bahrain’s VAT specialists Smita Roy, BDO Partner (leader VAT), and Marlon Appleton, BDO senior manager (VAT), as guest speakers. More than 130 BBBF members were given a presentation by Ms Roy and Mr Appleton, who provided latest information from the Finance Ministry about the implementation of VAT in Bahrain on January 1, 2019. They also shared their experience from the implementation and practice of VAT in Saudi Arabia, the UAE and the UK. “To avoid many of the pitfalls experienced by businesses in Saudi Arabia and the UAE, it is important for businesses to have an action plan for VAT readiness to ensure smooth transition to VAT. The readiness measures should be effectively deployed to avoid last minute chaos,” added Mr Appleton. The Federal Tax Authority (FTA) has announced that only those goods which have previously been subject to VAT before the supply in question may be subject to the Profit Margin Scheme. As a result, stock on hand of used goods which were acquired prior to the effective date of Federal Decree-Law No. (8) on Value Added Tax (VAT law), or which have not previously been subject to VAT for other reasons, are not eligible to be sold under the profit margin scheme. VAT is therefore due on the full selling price of such goods. The Authority had clarified the above to address questions from the audience at an awareness session recently organised at the Abu Dhabi Chamber of Commerce and Industry to raise awareness among car dealers about the procedures and tax treatment for this vital sector, as well as the efforts made by the FTA to remove obstacles facing those working in the sector. The session brought together several car dealers, experts and other stakeholders from the industry, where the FTA team introduced them to the procedures for implementing VAT and the Profit Margin Scheme. In a press statement issued today, FTA Director-General Khalid Ali Al Bustani asserted that the Federal Tax Authority has been committed, since the tax system went into effect, to raising awareness among all business sectors to abide by their tax obligations, by means of various media and digital channels, as well as direct contact through awareness campaigns across all seven emirates. The Authority also provides various tax awareness instruments through its website, which was designed according to international best practices. A PUBLIC backlash against the previous parliament, fuelled by anger at the imminent introduction of Value Added Tax (VAT), has been credited with dashing the hopes of 13 MPs seeking re-election. Of 23 incumbent MPs who ran for parliament again this year, only two successfully defended their seats in the first round of voting on Saturday – Adel Al Asoomi and Isa Al Kooheji. Thirteen of them were dumped outright by voters, while eight face a second-round run-off this weekend. The cull is an indication of widespread dissatisfaction at parliament’s performance during the past four years. However, 27 MPs who supported the introduction of VAT in January were singled out for criticism – both ahead of the election and on election day itself. Influential social media accounts posted the names and pictures of those who voted in favour of VAT as part of a campaign encouraging voters not to support them again. Pictures and messages reminding people were also circulated on the day of the election on Saturday. “The public is upset and angry,” explained political analyst Fareed Ghazi, a lawyer who served in parliament between 2002 and 2006. “People don’t want MPs who imposed taxes on them, didn’t secure compensation or financial benefits and even tightened restrictions on political and human rights. “Voters today are extremely intelligent and have strong opinions. Seventeen of the 27 MPs who last month voted in favour of VAT tried to defend their seat. Companies in Bahrain with sales exceeding BD5 million annually must register with tax authorities before January 1, ahead of the rolling out of Value Added Tax (VAT). Development and Revenue Policies Rana Faqihi. She said VAT of five per cent would be rolled out in a phased manner, starting with companies exceeding annual sales of BD5m. They should register with the National Bureau for Taxation (NBT), the entity in charge of managing the tax, before January 1. A series of briefings will also be held to ensure businesses are ready for the first phase of VAT. An NBT hotline has been set up for VAT enquiries on 80008001, or people can e-mail vat@mof.gov.bh. Ninety-four basic foodstuffs and other basic goods and services are exempt from VAT, in addition to a number of other goods and services including education and health services. As Bahrain gears to hold its fifth parliamentary and municipal elections, the impending implementation of Value-Added-Tax and rising inflation rate are driving discussions between candidates and voters across the island-kingdom. The general elections for the lower house of parliament and the municipality council will be held on November 24 with many districts expecting to hold a run-off vote on December 1 as independent and past Members of Parliament are expected to fight incumbents for their seats. But a key issue across the governorates is the topic of VAT and how it may affect constituents in the coming year. Bahraini legislators approved a draft law on October 7 that would impose VAT for the first time in the kingdom, starting from 2019. Saudi Arabia and the United Arab Emirates are the first two countries introducing VAT at a 5 percent rate, as part of a Gulf Cooperation Council (GCC) agreement in 2018. Planet, a new entity recently appointed by the UAE’s Federal Tax Authority (FTA) will operate the Tourist Refund Scheme (TRS) at Dubai International (DXB), said a statement from Dubai Airports. This closely follows the recent announcement by the FTA, outlining conditions and procedures for tourists to claim their Value Added Tax (VAT) refunds when exiting the country. A ‘Tax Free Tag’, generated whilst shopping with the required passport or GCC ID, must be attached to the sales receipt upon purchase in-store. Prior to check-in the customer will then need to validate the Tax Free Tag and goods at one of the Planet validation points situated across DXB’s three terminals. Upon successful validation, the tourist is offered a choice of refund via credit card or cash. Those customers who prefer a cash refund can have it processed at one of the Travelex outlets in the airport’s airside departure areas. The maximum value added tax (VAT) refund that can be given to a tourist in a 24-hour period has been capped at Dh10,000, according to Decision No 2 of 2018 issued by Shaikh Hamdan Bin Rashid Al Maktoum, Deputy Ruler of Dubai, Minister of Finance, and Chairman of the Board of the Federal Tax Authority (FTA). The decision also stipulates that tax cannot be refunded under the scheme unless the total value of tax inclusive purchases issued by the same taxable person is Dh250 or more. The decision comprises seven clauses and stipulates that VAT refund claims shall be provided by retailers participating in the tax refunds for tourists as of November 18. An overseas tourist may get a refund at the Abu Dhabi, Dubai and Sharjah International airports as of next Sunday. The tourists may also recover VAT at the other airports, land and seaports in the UAE as of December 16. The decision outlined the five steps that retailers must follow when a customer asks to make a purchase under the scheme, including age and identity verification. The Federal Tax Authority (FTA) has called on retailers to verify that used cars were subject to the value added tax (VAT) before applying the Profit Margin Scheme, during an awareness workshop for car dealers. 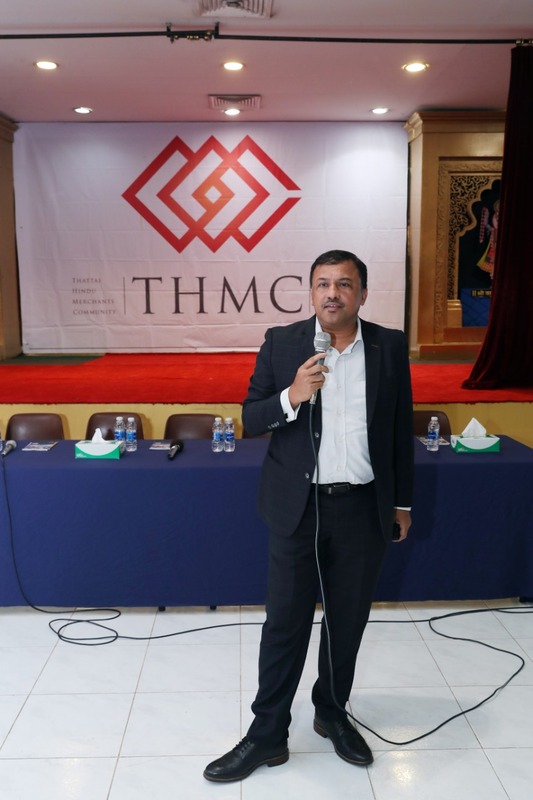 The workshop applauded the high tax compliance rate and increased tax awareness among businesses in the automotive sector, and reiterated its commitment to empowering businesses. The authority also introduced various procedures and tax treatment for the key sector, highlighting the FTA’s steps to address any obstacles that businesses face. More than 100 dealers, experts and stakeholders participated in the workshop, which was organised by the FTA in collaboration with the Dubai Municipality and Al Aweer Auto Market in Dubai. “Tax laws in the UAE have prioritised the establishment of an environment conducive to continued growth and prosperity in commercial activities – a sector of great importance in the government’s plans to diversify sources of income,” FTA director-general, Khalid Ali Al Bustani, asserted. The FTA experts presented a detailed explanation of the procedures and legalities surrounding VAT on the sale of new and used vehicles. They also shed light on the Profit Margin Scheme, its terms and conditions, the supplies eligible for it, and the obligations for the Taxable Person. The authority’s representatives asserted that according to Federal Decree-Law No. (8) of 2017 on VAT and Cabinet Decision No. (52) of 2017 on the Executive Regulations of said Decree-Law, the Profit Margin Scheme is only applicable to supplies that already incurred VAT prior to the current supply. Therefore, the stock of used goods purchased before Federal Decree-Law No. (8) of 2017 went into effect (or that didn’t incur tax for any reason) do not qualify for the Profit Margin Scheme, and VAT is instead calculated on the items’ full price. Value-added tax, being all pervasive, impacts a country’s economy as well as the industries therein. Furthermore, VAT impact also spills over to the import and export of goods and services. The UAE, all along, has business ties with Bahrain through either a local presence in Bahrain (as branch or local entity) or through export/import of goods or services. Typically, after the introduction of VAT in a country, businesses discover that their entire business ecosystem – i.e., their vendors, suppliers and customers located in and outside the country – are also part of their business. Underlying reason for this tectonic shift is the fact that in VAT, businesses cannot take unilateral decisions and have to take decisions bilaterally as a buyer can debate on the applicability of VAT (for example, whether the transaction qualifies as ‘export’ or not). As mentioned above, dependency between the supply chain intensifies, particularly, in cases of outbound supply of goods (like goods being supplied to Bahrain from the UAE). Typically, in such transactions there are two aspects to be vetted, one whether the supply qualifies as export from UAE and whether the transaction qualifies as import in Bahrain. Thus, it is advisable for UAE entities having business interests in Bahrain to initiate early dialogue on the likely impact to identify possible issues and documentation requirements to avoid VAT debates/disputes with customers. Typically, VAT is payable at the time of import of goods (unless facility of deferment is provided) along with customs duty. 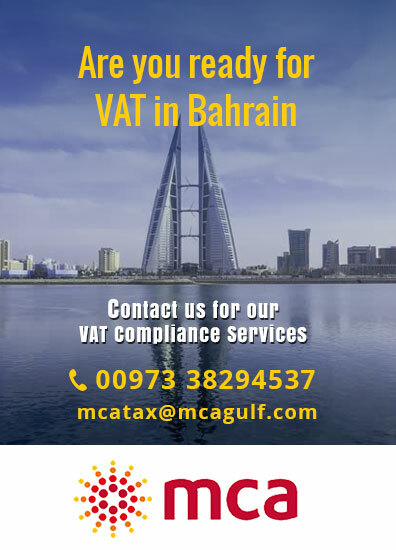 Thus, after introduction of VAT, imports in Bahrain may attract VAT and thus, at the time of import itself it will be critical to determine the applicability of VAT on goods being imported in Bahrain (as certain goods such as specified medicines may not attract VAT). Also, procedural aspects like declaration of the VAT registration number on import documents, linking of the VAT number with customs, etc, also become critical during transition. The Federal Tax Authority (FTA) has called on businesses registered for tax purposes not to disclose their financial or tax data to any person or organisation that is not officially authorised to deal with such data. The authority stressed in a statement issued on Saturday that it is necessary to remain vigilant about messages received via e-mail or mobile phone and not to share tax registration numbers (TRN) or financial account numbers with any entity. It urged all registered businesses to maintain the confidentiality of their data, noting that it did not authorise any entity to request tax-related financial or accounting information or any other matters relating to tax registrants. Businesses registered with the Authority for tax purposes can submit their tax returns within the deadline and pay taxes due for specific tax periods by visiting the e-Services portal on the FTA website – eservices.tax.gov.ae – available 24/7, accessing the tax return form, entering the data, then pressing ‘submit’. Users can then proceed to pay their due taxes by clicking on the ‘My Payments’ tab. Dubai: The UAE’s gold and jewellery sector endured its toughest quarter ever between July to end September, with demand dropping to 6 tonnes, a 13 percent decline from Q3-17, according to the latest update from the World Gold Council. Some of the “retailers registered losses for the first time”, the report adds. “One cannot remember a quarter that has been this tough, at least not in recent memory,” said John Mulligan, Head of Member and Market Relations at WGC. But the imminent introduction of VAT refunds for tourists could provide some much needed relief, according to jewellery industry sources here. “That (tax refunds) would be key to recovery – tourist-related buying of gold and jewellery in the UAE is down 30 percent in the year to date,” said Abdul Salam K.P., Executive Director at Malabar Gold & Diamonds and board member on the Dubai Gold and Jewellery Group. The Federal Tax Authority’s, FTA, Board of Directors today held its sixth meeting, chaired by H.H. Sheikh Hamdan bin Rashid Al Maktoum, Deputy Ruler of Dubai and UAE Minister of Finance, held at the Ministry of Finance premises. During the meeting, the Board adopted the FTA’s proposed budget for 2019, in addition to a number of executive decisions regarding the authority’s internal regulations, policies and operations. Furthermore, the Board discussed a detailed report outlining the FTA’s achievements over the past period, as well as the latest developments with regards to the authority’s activities, the registration process for Value Added Tax, VAT, and Excise Tax, import declarations, Tax Returns on Excise Tax and VAT, and audit procedures. The report revealed a high rate of tax compliance in the UAE. Sheikh Hamdan commended the authority for the continued progress of its systems, confirming that the FTA has successfully strengthened its partnership with the private sector, providing all necessary facilities to ensure self-compliance with tax regulations in a seamless manner supporting economic activities. Meeting with members of Thattai Hindu Merchants Community (THMC), Kingdom of Bahrain and talk about implications of VAT on their businesses. A well organized and excellent event participation by Bhatia businessmen and businesswomen.